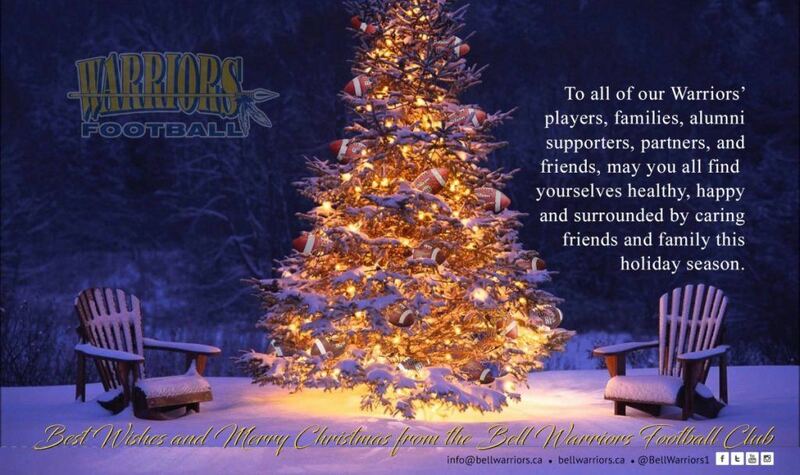 All the best to you all over the holiday season. Merry Christmas to you and your families. 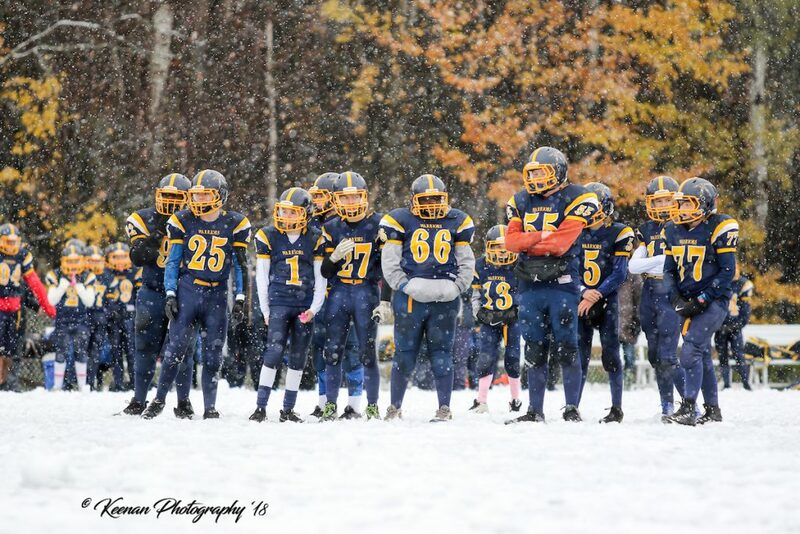 After 3 months of hard work, our four tackle teams competed for the NCAFA championships. Our Tykes battled basically to the last play of the game in the B-Cup Semi-Finals but came up just a little short with a 18-14 loss to the Kanata Knights which went on to be the B-Cup Champions. 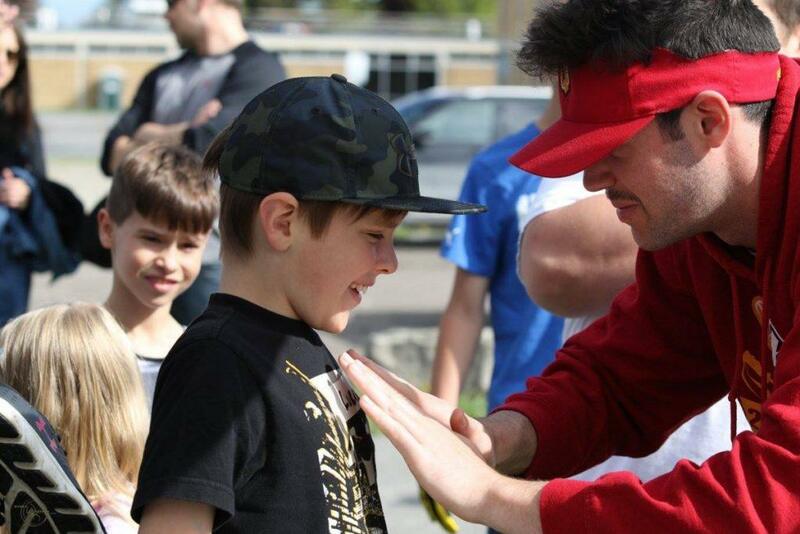 Coach Brian Patterson continued to run our Tyke program as he had for the past 15 years. He is a true gem that we are lucky to have volunteering for our Club. 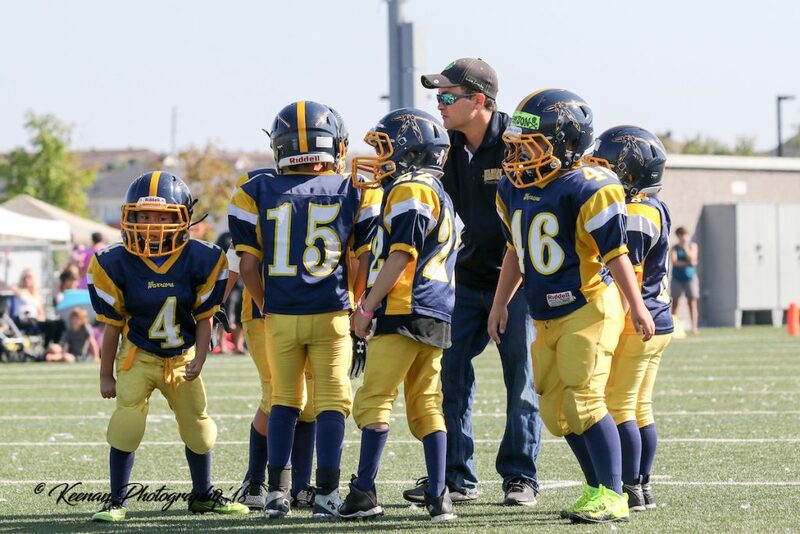 Our Tyke Defensive Coordinator Jesse Graham gathers up the D to call their next play. 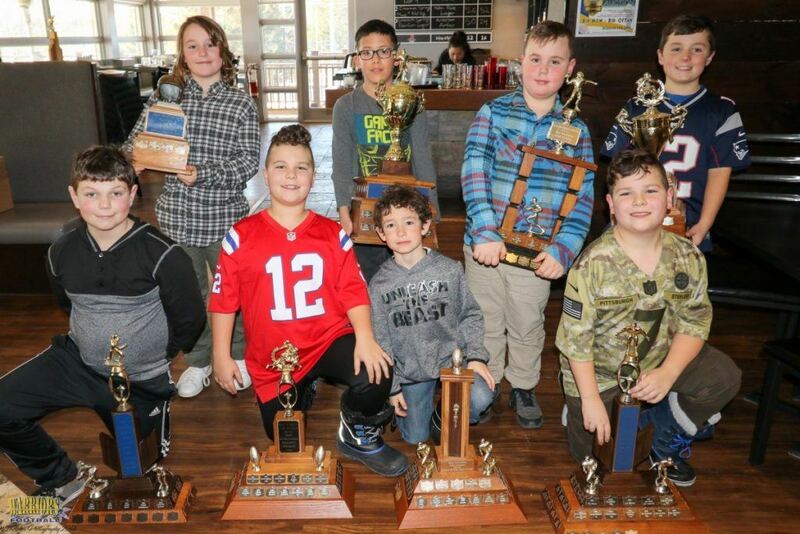 Our Mosquito squad, led by head coach Pat Kilmartin, were in a building year this year. As the season progressed however, the Mosquito team continued to get better and better and ultimately, they became the Sullivan Cup C-Cup Champions with a convincing win over the Bel-Air LIons 42-18. Congratulations! 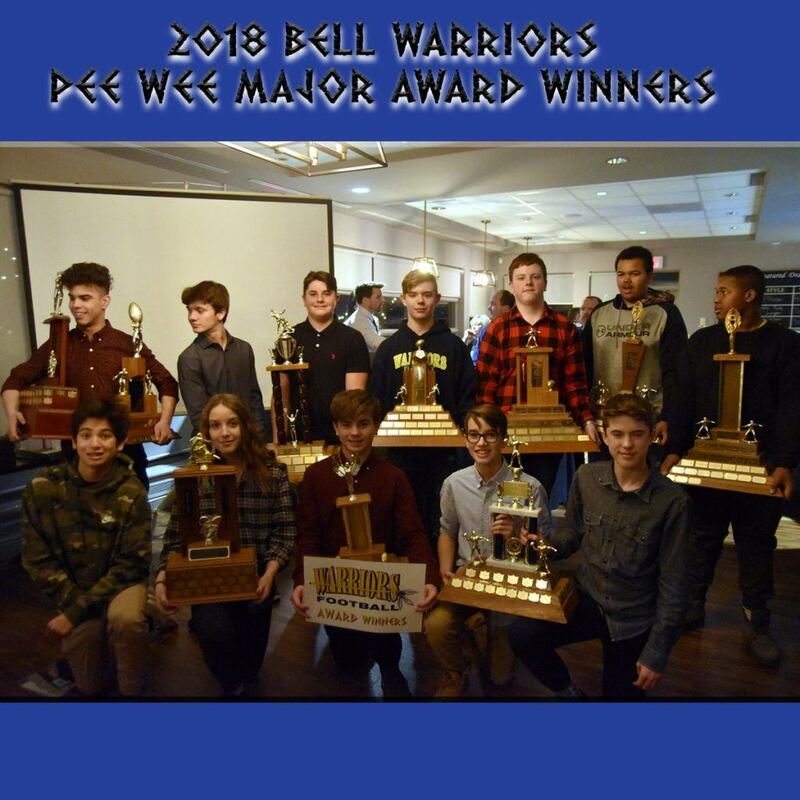 The 2018 NCAFA Sullivan C-Cup Champions – The Bell Warriors! 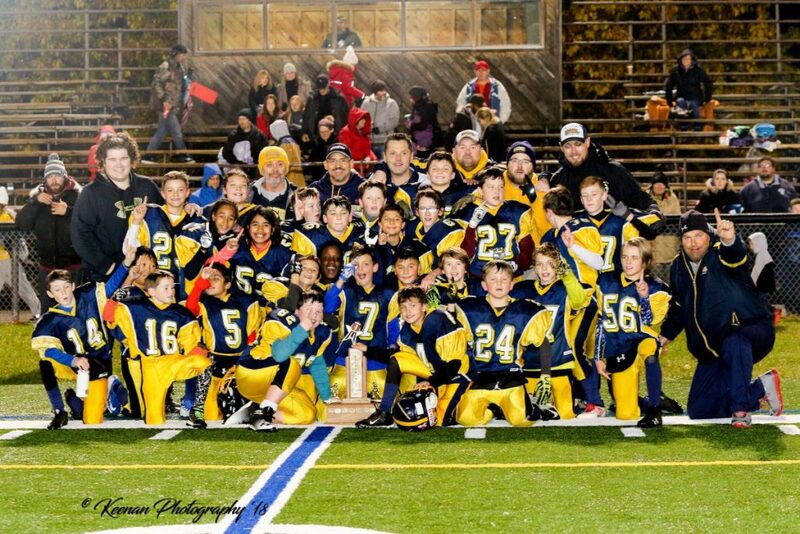 Our Pee Wee team who finished the regular season with a solid 6-2 record, went on to win their A-Cup Quarter-Final convincingly 59-8 against the Bel-Air Lions. Head Coach Paul Gowans had his team primed and ready for the A-Cup Semi-Finals and they beat out our Nepean neighbours the Myers Riders in a tough-fought battle 14-2. This led to a birth in the City Championship against the Cumberland Panthers. We scored early to put us up 7-0 but ultimately fell 28-7. Getting this far is quite an accomplishment and our young Warriors deserve a lot of credit for a great season. 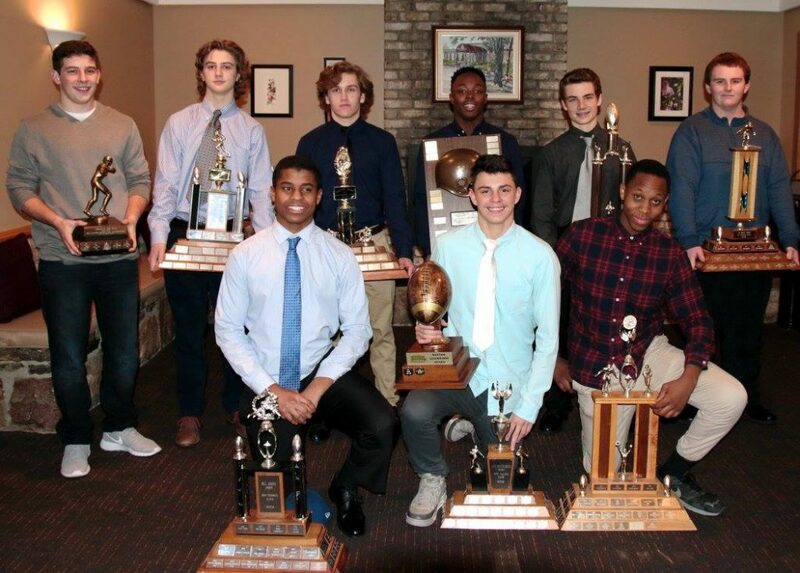 Our Bantams were short on numbers this year but certainly not on heart or talent. 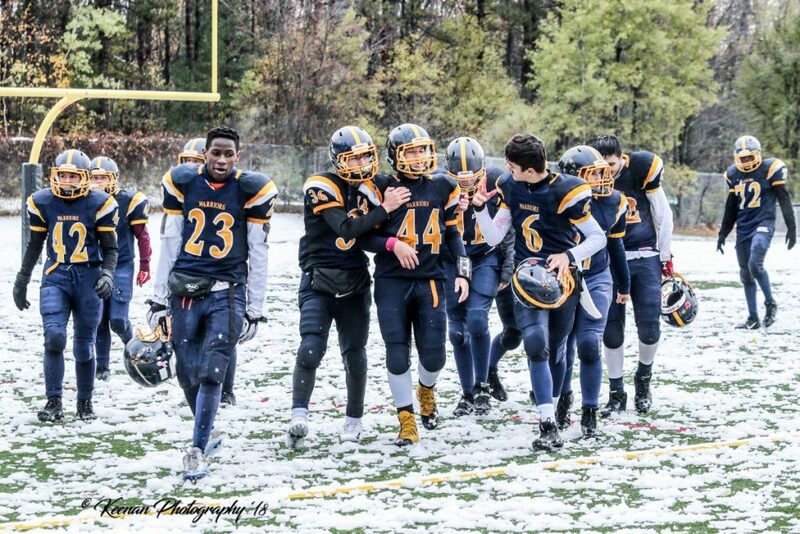 We finished the season with a respectable 5-3 record and home field advantage in the playoffs. In the A-Cup Quarter-Finals, we handled the Bel-Air Lions quite handily with a convincing 43-0 win. Our next opponent, the Kanata Knights, beat our Bantams 23-9 earlier in the season so we knew we’d have a battle. It was a tough game but our Bantams handled the Kanata Knights in the A-Cup Semi-Finals coming out with a solid 20-6 win to catapult our Bantams into the A-Cup Championship. Despite going into half-time only down 7 points, we came up a bit short and lost 35-0 to the Cumberland Panthers. So much was accomplished by this small roster team and they deserve a tonne of credit for what they accomplished. Our Bantams were all about #TeamFirst. CONGRATULATIONS lads on a great season. 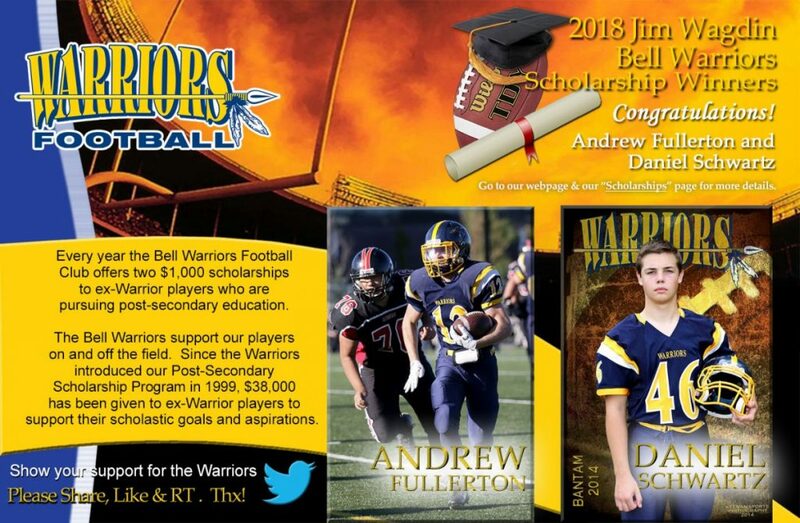 It is with immense pride that the Bell Warriors announce this year’s Jim Wagdin Post-Secondary Scholarship winners – Andrew Fullerton (Stittsville) and Daniel Schwartz (Nepean). Our independent selection committee had their hands full with a full slate of worthy candidates but both Andrew and Daniel were deemed to have the most complete applications in a very tight selection process. 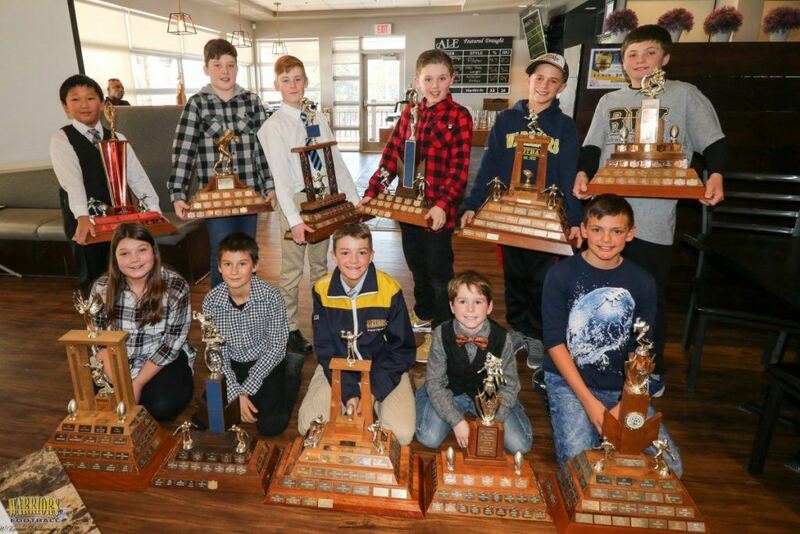 Andrew’s awards with his years with the Warriors and through his education are two many to list. In short, his achievements are substantial and impressive. 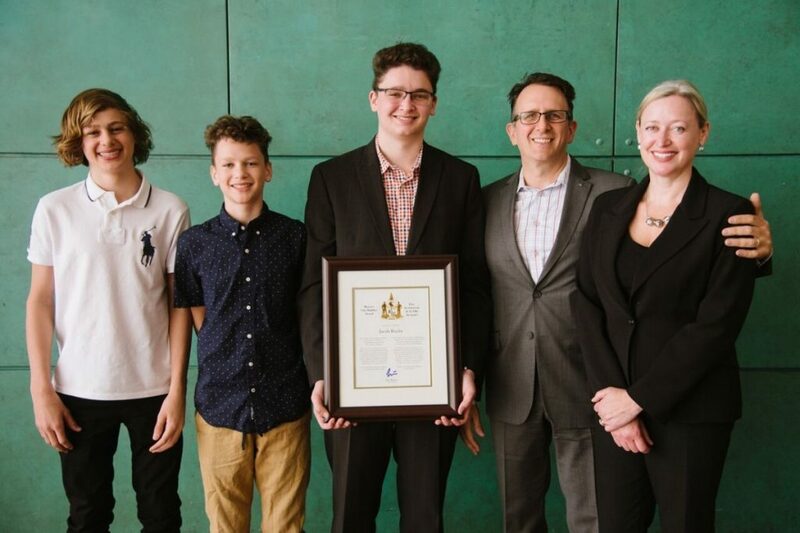 in summary, this young man, who is currently studying Advanced Studies in the Arts and Humanities at the University of Western, was always dedicated, respectful, driven, successful and a true leader. 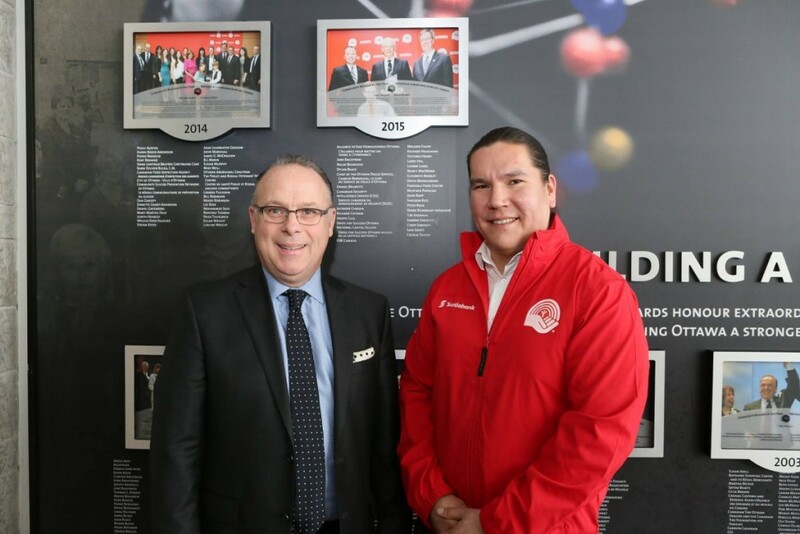 Andrew concluded his application by saying that, “The Warriors’ navy and gold are not simply colours sported on game day, painted on our helmets or dyed in the fabric of our jerseys, they are a representation of the Bell Warriors and an embodiment of their values. Whether or not I am wearing navy and gold or the Warriors crest across my collar bones, I represent the Bell Warriors each day of my life; the navy and gold is not so superficial as a helmet, jersey and pants, it is an integral part of who I am.” CONGRATULATIONS ANDREW! 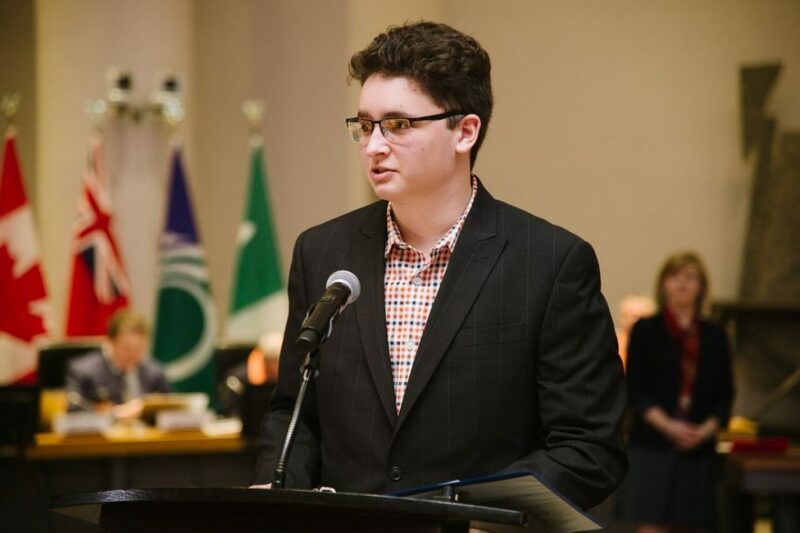 Daniel’s application expanded on how the values of respect, team work, compassion, independence and self-confidence were all vital lessons learned with his many years as a Warrior and he calls on today as he commits himself to his pursuit of a career in Paramedicine. His concluding paragraph says it all, “I will be a Warrior for Life, I will be a part of the “CABB Company”, I will continue to apply the values I have learned and pass them along to others. The Bell Warriors was the best eight years I could have asked for, every drop of blood, sweat, and tears was worth it. Sports revealed my character – the Bell Warriors revealed my character.” CONGRATULATIONS DANIEL! For more information on the Bell Warriors Jim Wagdin Scholarship program, go to our SCHOLARSHIP page. Golf Tounament brings Warriors together! Our 23rd Annual Warriors Fundraiser Golf Tournament has come and gone and we had one heck of a day. We were at Amberwood Golf and Country Club again this year and the course and weather could not have been better. Our club is built on selfless commitment of our families so having a day where we actually have some fun together and get to know each other a little better is important….and there was no shortage of camaraderie and fun. 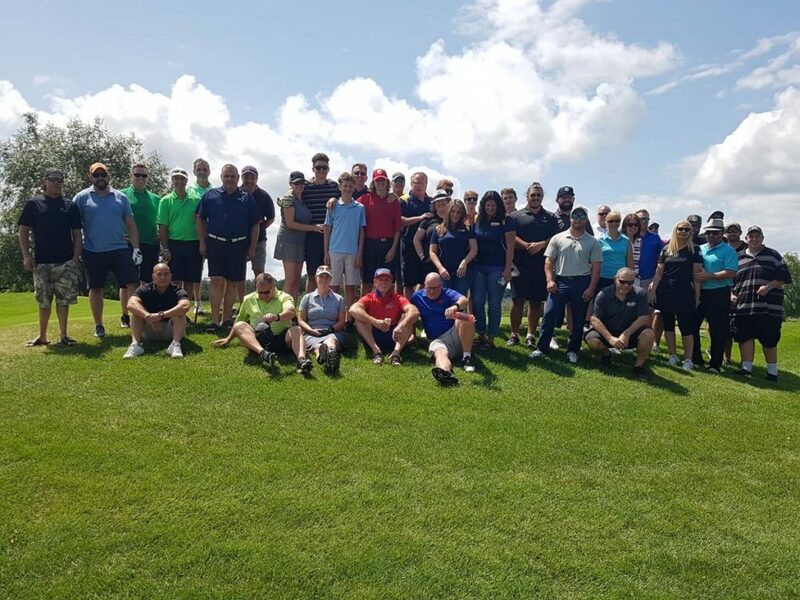 A huge thanks to Dan Crabtree, Steve Adam, Kelly White who were this year’s event organizers and special thanks to Christine Lavigne, Darlene Kelly-Stewart, Carmen Schwartz, Ken Schwartz and Kayla Schwartz who were on site all day to help our Golf Committee to ensure we had an exceptional event. 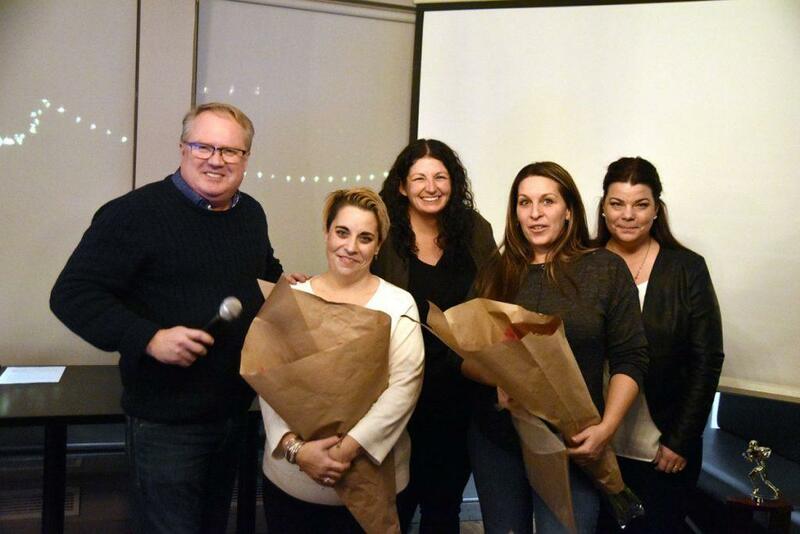 CLICK HERE to see more event pictures. Super door prizes, a great lunch & sit down dinner, 18 holes of golf with carts & relaxing day golfing with friends, family & our Warriors. $100 per player or $85 for Warrior players. We are looking for local businesses to donate prizes. 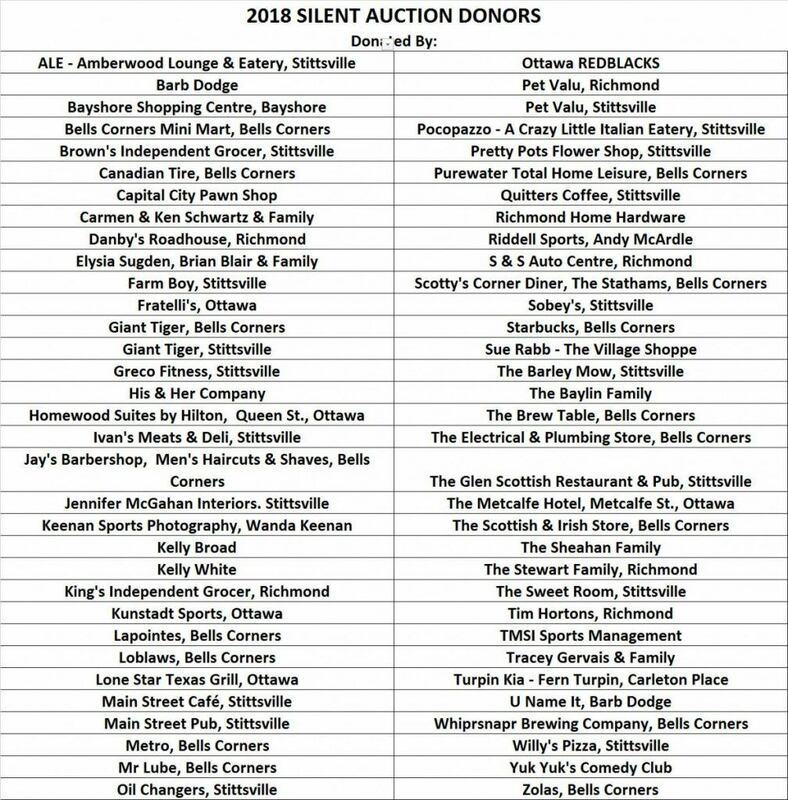 Contact either Dan Crabtree at 613-794-6716 or email dan.crabtree@holliswealth.com or Steve Adam at stevenjohnadam@gmail.com for more details. Here is to all of our Football Moms! 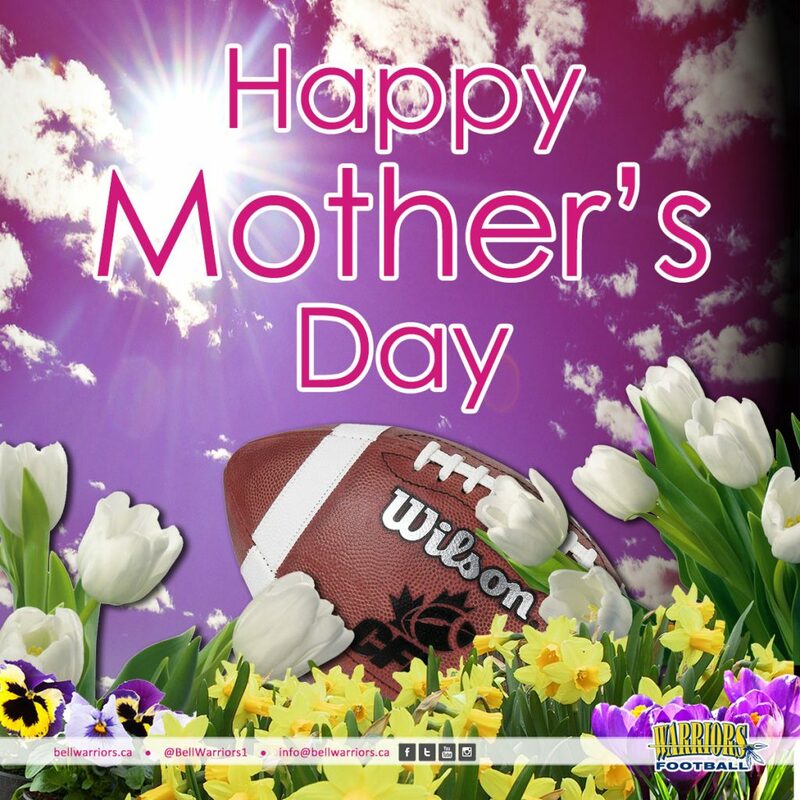 Happy Mother’s Day to all of our fabulous, caring, dedicated Football Moms and Grandmas! Aron Masalingi – Receives Community Honour! 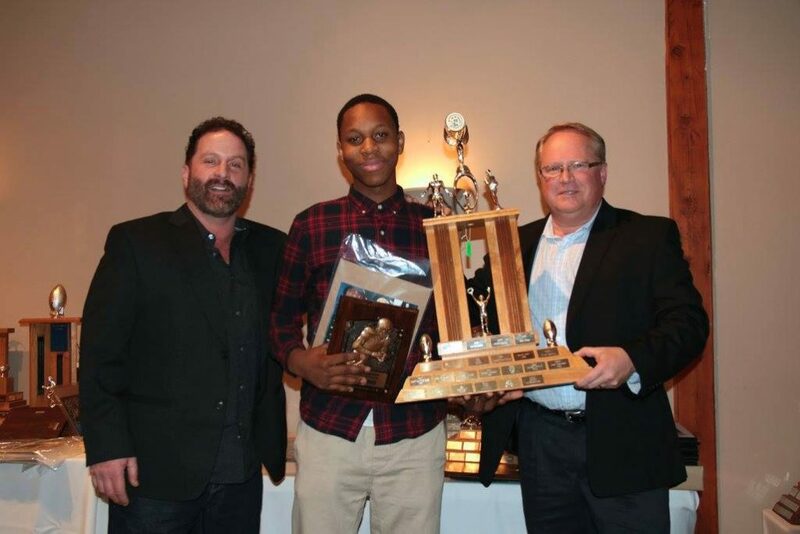 CONGRATULATIONS to Warriors Alumni Aron Masilingi who was recognized and honoured with a RBC Spirit of the Capital Youth Award this week. 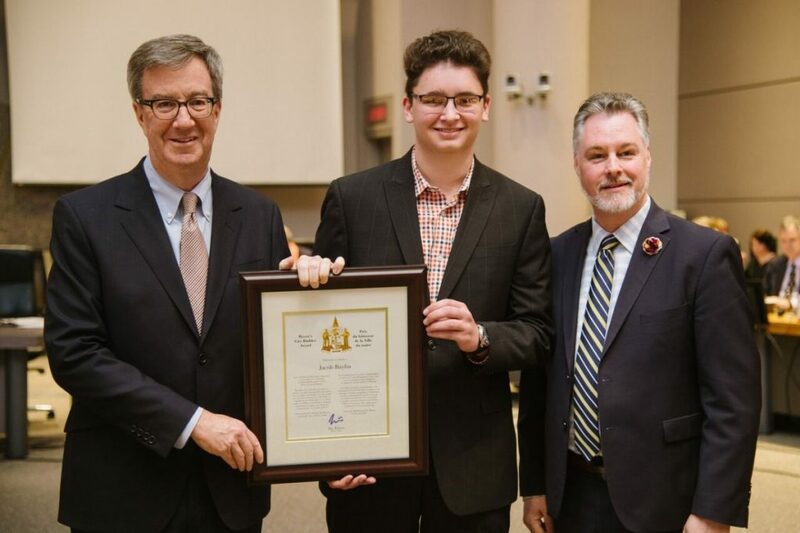 These awards recognize the extraordinary accomplishments of youth in Ottawa whose drive and dedication continue to make the community, and the world, a better place. 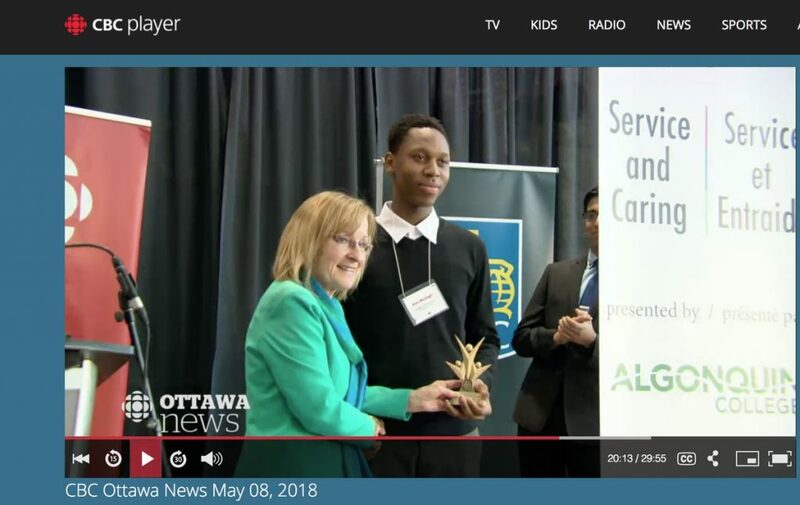 2018 RBC Spirit of the Capital Youth Award Winner Aron Masilingi receives his award. 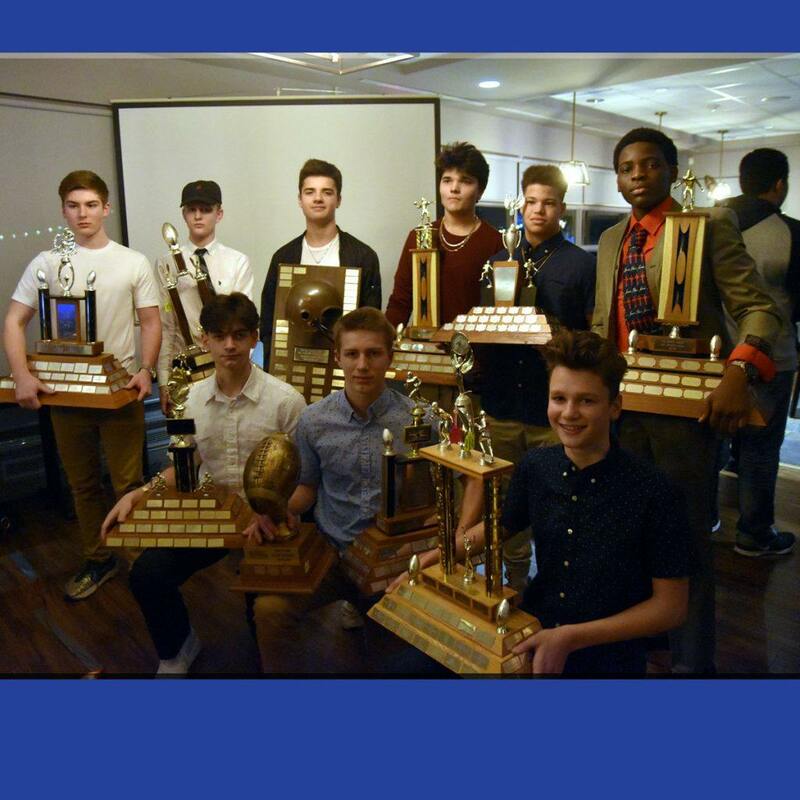 Aron Maslingi (front row, far right) was a winner of the 2015 Bantam Most Versatile Player Award. His winning-way continues today in our community. 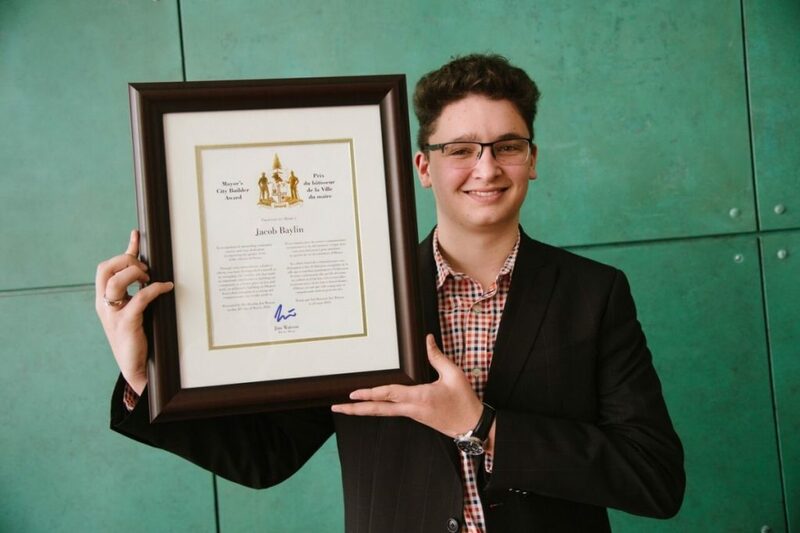 CONGRATULATIONS to Jacob Baylin who was recognized and honoured today with the City of Ottawa Mayor’s City Builder Award. 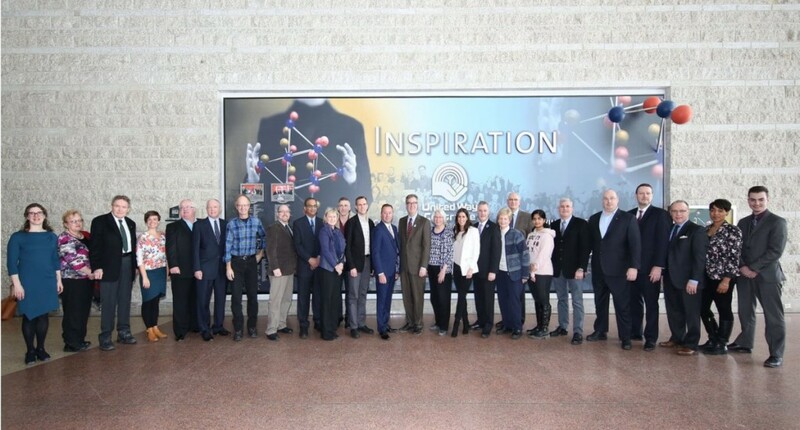 Mayor Jim Watson made the presentation to the young Warriors alumni for “his outstanding act of kindness and inspiring charitable work” in association with his support of the Bell Warriors Football Club and their goals to keep sport “Affordable for All”. 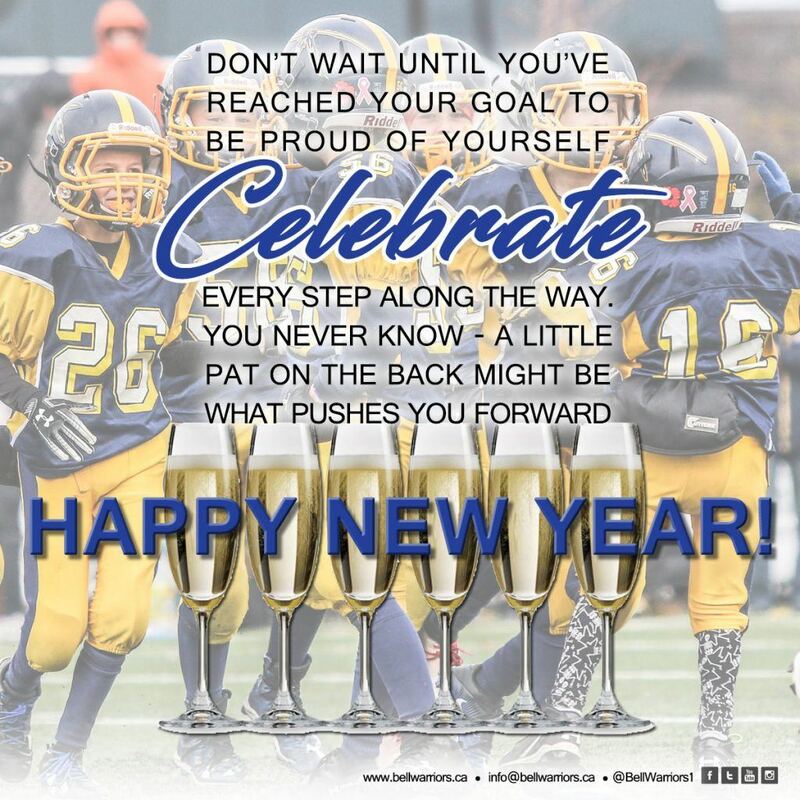 “2017 marked the 62nd anniversary of our league (NCAFA) and the Bell Warriors Football Club. It is unimaginable to consider how many people and hours have been generous given to our community to mentor our young youth over those many years. 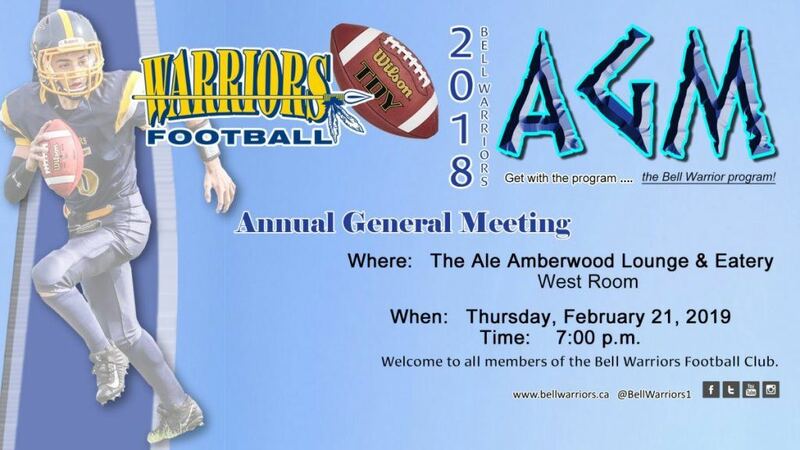 We have so much to be proud of, grateful for and I want to take this opportunity to thank all of this year’s volunteers for all they did to make the ’17 season a resounding success”, summed up Paul Stewart, Bell Warriors President at the Warriors AGM held Feb 27. Flag Football: 6 weeks in May and June – Flag Football returned after a sabbatical of over 10 years.